Part of the VELUX Group, VELUX Modular skylights are fully prefabricated skylights systems for commercial buildings that makes it easy for architects to create larger naturally lit spaces and specify perfect solutions for atriums, narrow corridors, internal courts, studios, large circulation spaces and other commercial building types. Velux appointed Dragonfly PR following a tendering process. They were looking for creative ideas to get across the benefits of natural daylight and ventilation in the commercial, healthcare and education sectors, and liked the way that we were able to put forward a clear strategy backed by a real understanding of routes to market. Our team uses its extensive knowledge and expertise within the construction and manufacturing sectors to implement a robust marketing, public relations and communications strategy for the commercial arm of the business, VELUX Modular Skylights. This includes managing all aspects of the company's activity across social media, media liaison, securing and drafting trade features and comment pieces, as well as drafting and distributing case studies and press releases. We also assist in promoting the VELUX Modular Skylights 'Design a Brighter Future' breakfast seminars and the company's online CPDi's and eBooks, available for architects and contractors. 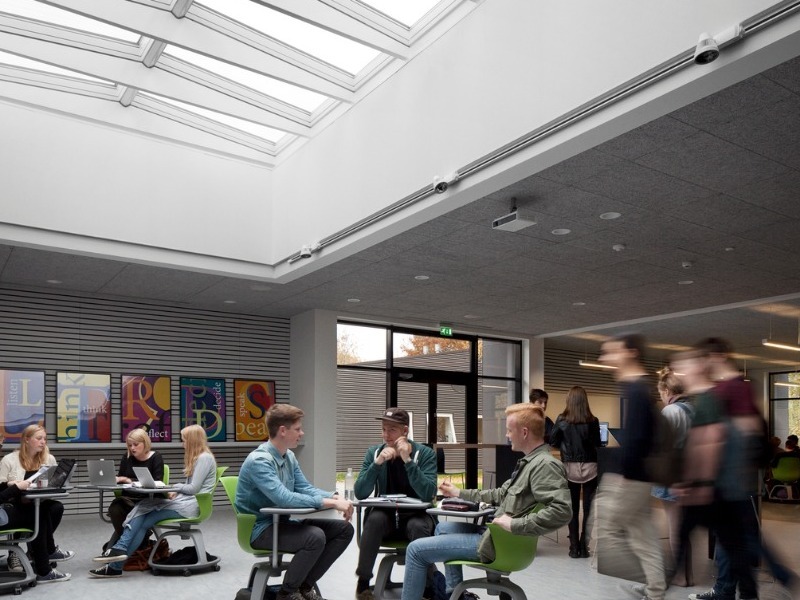 Since working with Dragonfly PR, awareness of VELUX Modular Skylights has significantly increased. In just six months, we have secured 60 pieces of coverage in trade press, all of which have a combined circulation of more than 763,000. This includes a series of major features in leading architectural and contractor media, such as RIBA Journal, as well as coverage of events, case studies and business news. Dragonfly PR has also helped to kick start the company's social media presence by setting up a dedicated VELUX Modular Skylights Twitter page, which gained more than 30,000 impressions and over 60 followers in the first 30 days of being live.